Children’s classic The Wind in the Willows has been adapted by The Wildlife Trusts as part of a new hard-hitting campaign on general release in cinemas this weekend. The film trailer, voiced and backed by conservationists and actors Sir David Attenborough, Stephen Fry, Catherine Tate, Alison Steadman and Asim Chaudhry, calls for a wilder future and for nature’s recovery in the UK. 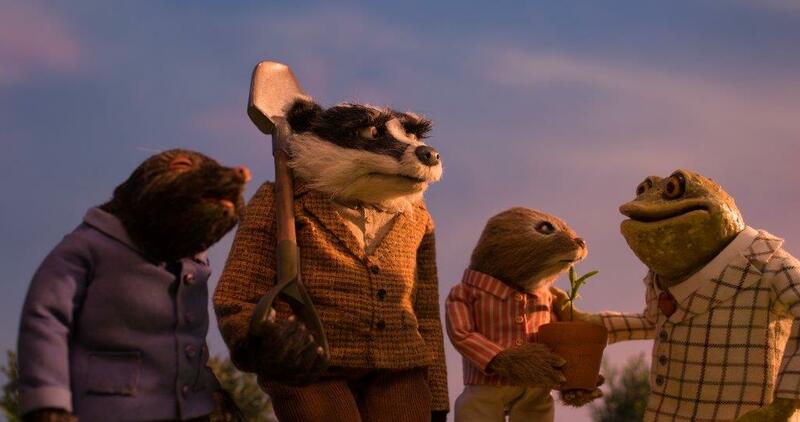 The new animation brings to life the 21st century threats facing wildlife as much-loved characters Badger, Ratty, Mole and Toad lives are disrupted by roads, river pollution and intensive agriculture. Kenneth Grahame wrote The Wind in the Willows just over a hundred years ago and since then many of the UK’s animals and plants have been lost, including 97% of lowland meadows and the beautiful wildflowers, insects, mammals and birds that they support. Ratty – the water vole – is the UK’s most rapidly declining mammal, having disappeared from 94% of places where it was once prevalent, with Toad also finding that times are very tough: he has lost nearly 70% of his own kind in the last 30 years alone.